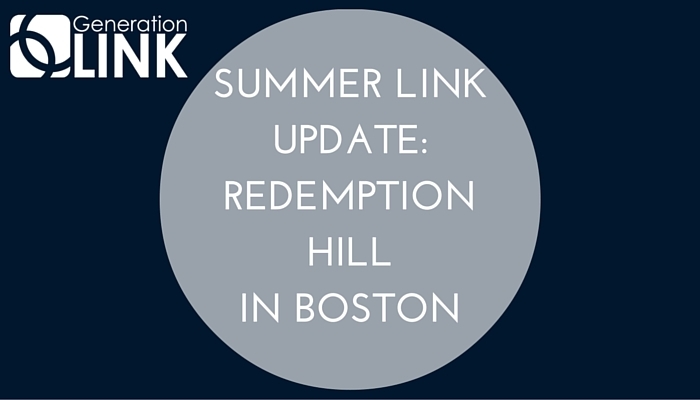 My name is Emma Cross and for the past five weeks, I have been in the beautiful city of Boston working with Redemption Hill Church. It has been such a deep and wonderful joy getting to know the families from this church, play with their kids, serve on Sunday mornings and being apart of their community. A few weeks ago, they held their annual Soccer Nights which we got to volunteer with. This is a really neat program where kids from surrounding neighborhoods are invited to a free soccer clinic to learn athletic skills and leadership traits. When I heard we were going to be participating in a soccer clinic, I became extremely nervous. Anybody who knows me can tell you that I absolutely hate anything sports related. I can try to kick a ball and end up landing on my face. I did feel equipped to teach small children to play soccer; so when they asked me what job I wanted, I responded with “any job where I don’t have to do soccer.” That answer left me with one job: 4 years old and under child care. Although I love kids, I have little to no experience with babies. I went in with a good attitude; struggling to hold weepy babies and entertain screaming three year olds. After the first night, I grew discouraged. I wanted to share Jesus and tell gospel stories to people; I wasn’t sure how to do that with little kids who could barely talk. I didn’t feel very useful- but then something hit me. I watched as whole families from the church worked to love the community of Medford well. They were able to do that because I was willing to take care of their small kids. Families were able to serve together because I said yes to serving in what I originally thought was an unimportant job. The thing is, there are no unimportant jobs when it comes to church. The person who sweeps the floors or sets up microphones is just as important as the guy who preaches each Sunday. The worship leader is no more needed than the person who sets up communion cups. It was when I realized this that Jesus gave me another beautiful opportunity. As I sat and wiped spit and bubbles off a small baby’s face, I heard a kind voice “hey I think I was assigned to help over here.” A sweet 13 year old muslim girl I’ll call Sarah was placed with us to help with babies, too! I have had a heart for muslim peoples ever since I was young. How perfect that Jesus brought this girl to our tent. We sat together, blew bubbles, held babies, giggled about Nick Jonas. Some of the other girls started playing Christian Worship music and she listened with intense curiosity. At one point, she found my Jesus Storybook Bible and got to look through it a bit. Night after night, Sarah came to our tent and listened to us talk about Jesus, church and worship. This is something she knew nothing about but she seemed interested. After five nights, we became close friends. It’s these little relationships that make things like soccer nights beautiful. Soccer nights connect nonbelievers with the local church. These nonbelievers get to see that Christians care and love their communities. They like to do good in order to make Jesus known. Redemption Hill Church has done so many incredible things in the city of Medford. I have been so blessed to be apart of it. We have one week left and I am so sad to leave these families and this church. I know Jesus is going to keep using them to make Him known in Boston. God is doing beautiful things in this city so please be praying for Boston. Pray for Redemption Hill Church that it would grow. Pray for the church planters in this city. Pray that more laborers would come. Pray for Sarah in her family. Pray for the minority churches we have gotten to see that are rising up and doing incredible things in Boston. Pray often and hard. I love this city, guys, and although it is such a dark and lost place, light is beaming through the cracks and starting a beautiful movement here. Boston is beaming so keep praying for these Boston beams.